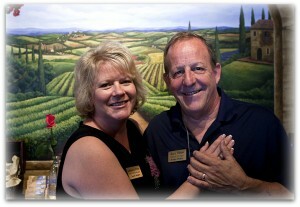 Buzz and Kimberly Olson wanted to build a bed and breakfast in Temecula Wine Country. They still do. Life has a funny way of putting a few detours in your path, and those detours have landed Buzz and Kimberly in Old Town Temecula with Tesoro Winery‘s tasting room. In 2002, the Olsons sold their house in Torrance and purchased property on Rancho California Road with the intention of building their B & B. Some of the early backers they had on board wound up backing out. In the meantime, Buzz had been growing grapes and after a few years he began producing wine from the grapes he was growing. 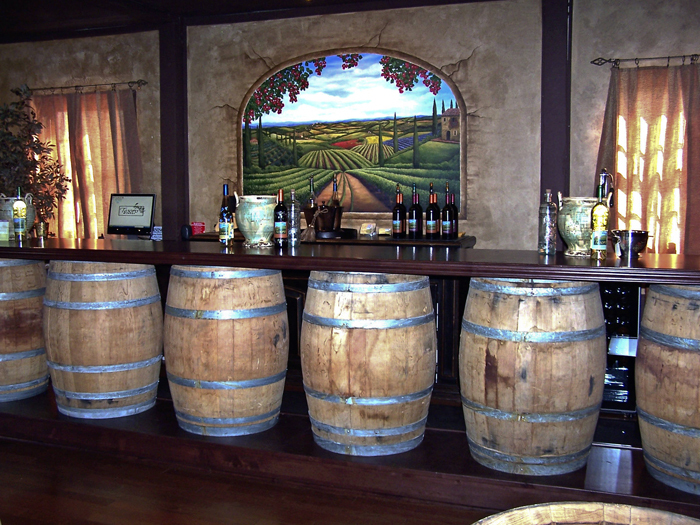 He had a decision to make – keep his wines in a warehouse or open a tasting room. They didn’t have the funds to build on their property, so they began exploring other options. 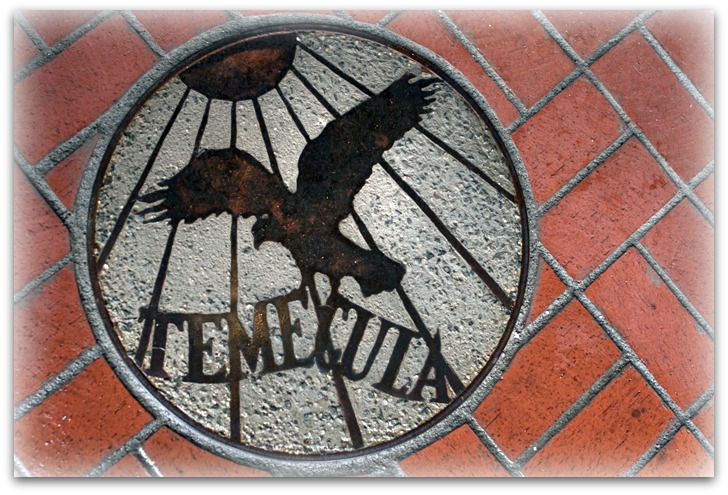 When they found an available building in Old Town Temecula, they decided it was the right place at the right time. Peter Poole from Mt. 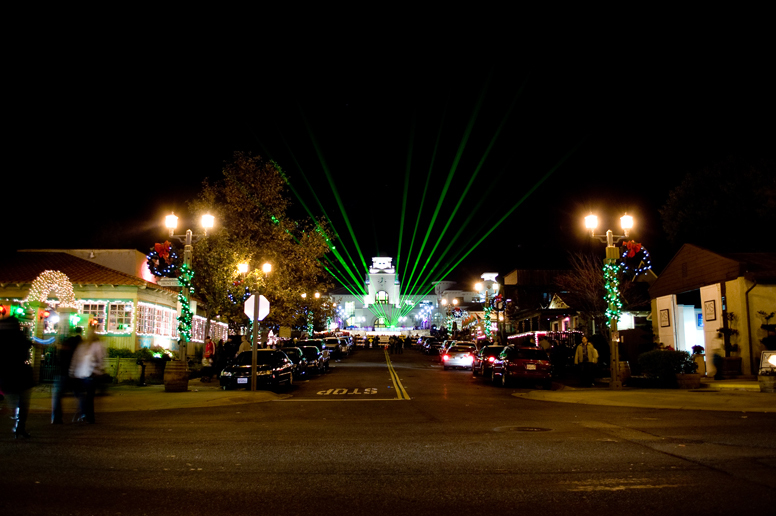 Palomar had tried without success years before, but they believed that people’s perception of Old Town was changing. 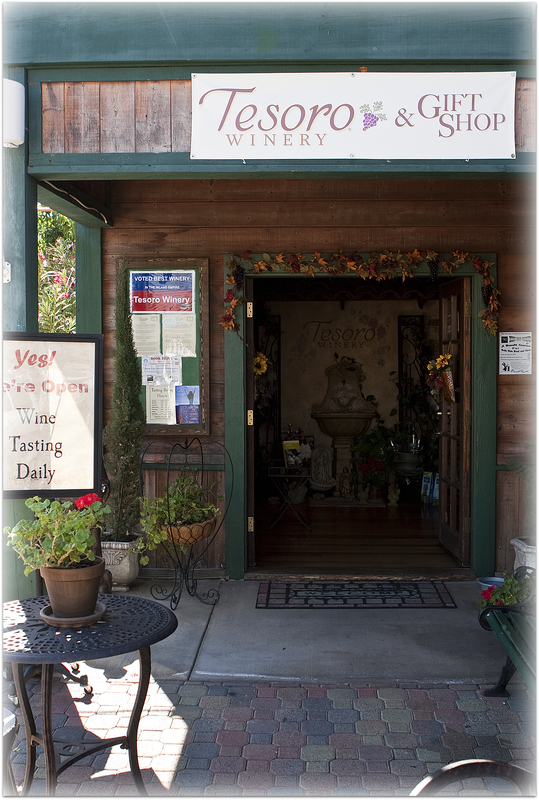 It was fairly close to wine country and was zoned for a wine tasting room. 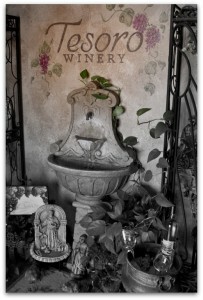 They opened the tasting room in March of 2008 and started their wine club “almost out of desperation”. With winemaker Etienne Cowper guiding his grapes, Buzz was confident he had a quality product. 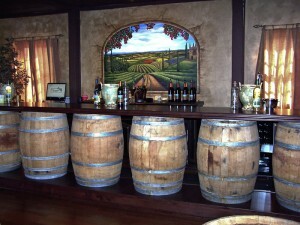 They were the only winery with a tasting room in Old Town for nearly a year. Now there are six with more to come. Buzz and Kimberly have led the way with the Old Town Wine & Dine Walk, two different packages that include a custom logo glass and discounts at various Old Town businesses. Kimberly and Buzz are devout Catholics. That’s not a detail I would normally include, but their faith plays a huge role in their business. They are active church members and belong to church groups. 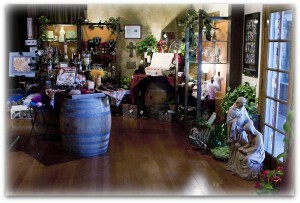 At the Fall Wine Classic in Yorba Linda, a woman member of their church group told them she wanted to invest with them. 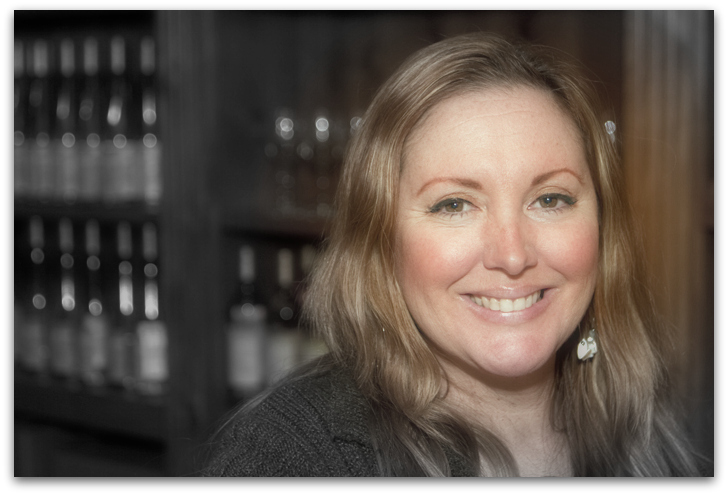 She has helped bring them that much closer to their dream of a wine country tasting room and bed & breakfast a reality. They even hope to build a small chapel on the grounds and have it consecrated by a Catholic Bishop so they can hold wedding ceremonies there. 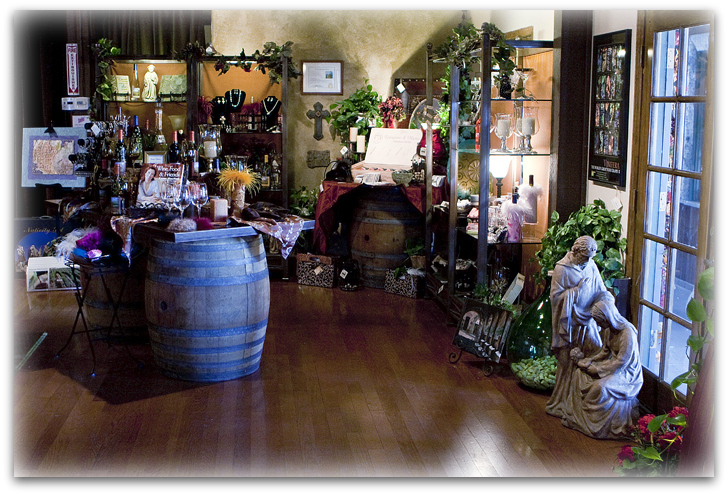 They also met football legend Vince Ferragamo through a church member and have not only developed a close relationship with him, but they carry his Libeccio wines in their tasting room. Tesoro, by the way means treasure in Italian. And in Spanish. And in Portuguese. And in Tagalog. Buzz told me has was looking through some notes he jotted down in high school and in them read he wanted to open a winery and a bed and breakfast. Some dreams do come true. Kimberly tasted me through several of their wines and I was thoroughly impressed by the ’07 Riesling, the ’06 Sangiovese, the ’06 Petite Sirah and their Tribordo non vintage Syrah Port. They have clearly found the right man in Etienne Cowper. God has blessed the Olsons. 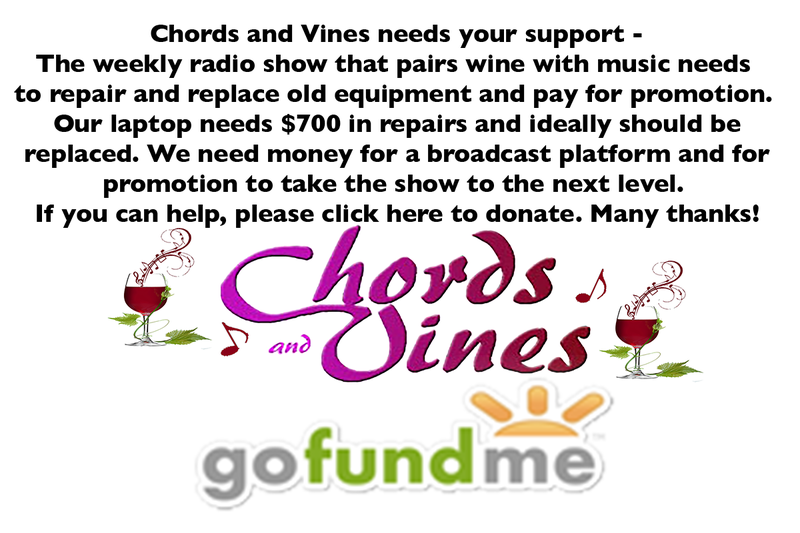 Recent legislation will alllow them to sell full glasses of wine beginning January 1st, whereas now they are only able to offer tastings. Future plans include expanding their patio. They hope to have the Rancho California Road facility open by the ened of next year. Buzz’ focus is on remaining small, keeping his production under 10,000 cases a year, enough to support their wine club, tasting room and a few restaurants. 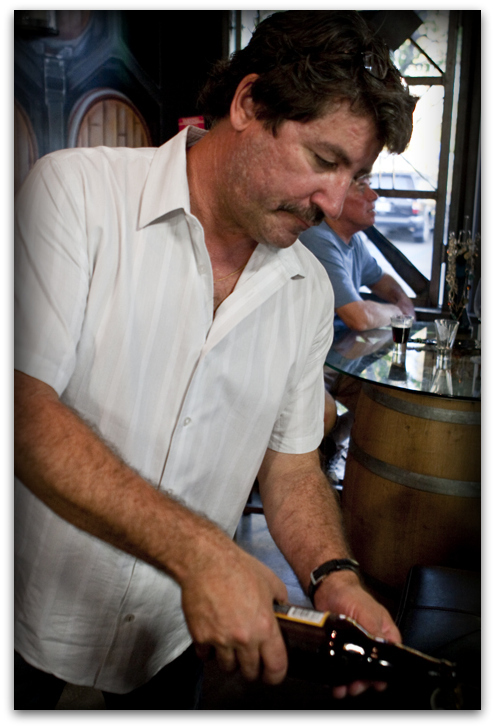 He wants to provide “the best possible wines grown and produced in Temecula Valley.” More importantly, they’re making new friends every day. 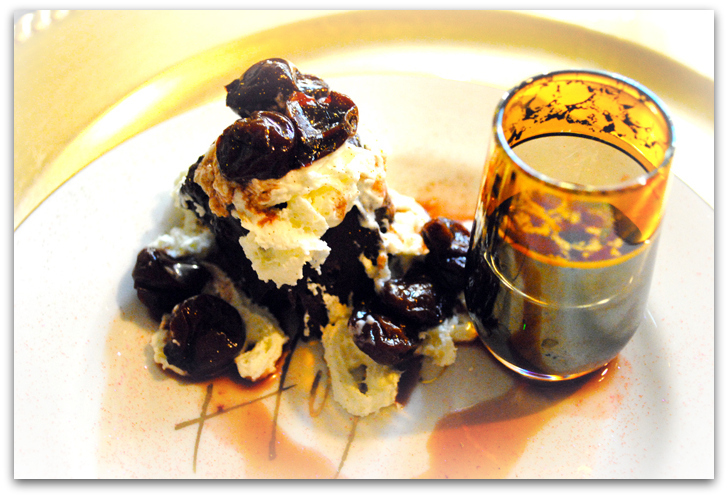 I hope you get a chance to experience their hospitality. 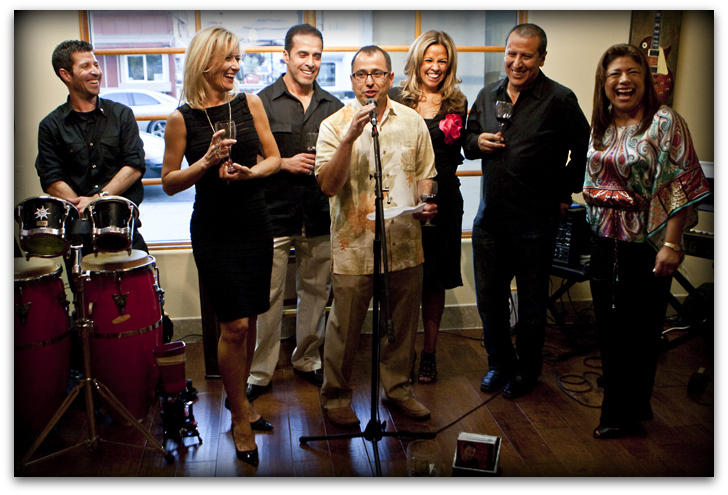 Follow Tesoro Wines on twitter. October 21, 2009 Linda K.
Great job Tom. 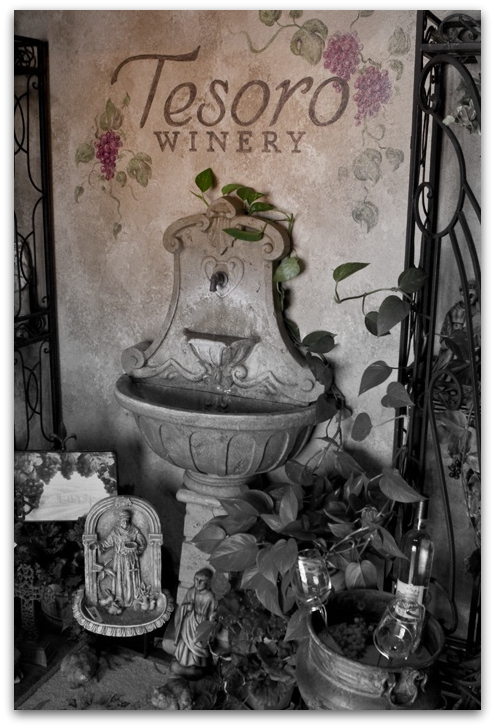 You were able to catch the essence of this tasting room – thank you! Thanks for this post Tom! I have been wanting to check this place out now for some time. Sounds like it’s time! Thank you, Tom, for such a beautiful post — you did a remarkable job relaying our message and what we’re all about at Tesoro! You rock! You’re so welcome, Kimberly. I look forward to spending more time with you and Buzz. Keep up the great work. The picture of Kim and Buzz captures their spirit so well! Debbie – They are delightful. Thanks. Nice story. Nice people. I bet nice wine too! Right on all counts. Thanks, Tom.